Ask fellow campers about "Perry KOA" and nearby attractions. We use this park as a mid stop both coming and going from south Florida as we did in past ten days (2 stays). I reserve on line through the KOA site and when I arrive staff is very friendly and helpful. Roads are easy to get around and even after a down pour, a bit muddy but drive is good. Sites are grass/dirt and for most part level (important as I do not have auto levelers.) There is plenty of room to walk your dog and at least three stations with bags and drop off baskets. Small bits of construction are taking place to upgrade this park and it is looking good! Various eateries off main road. Will stay here again. We camped at Perry KOA in a Motorhome. If I were staying long term, I would ask to stay in the back on site E27..adjoins two fence lines of open fields..probably cattle. The park paved roads and gravel dirt spaces. The spacing is good. It is easy in and out of sites with any size rig. They have good services the staff is friendly. Some of the sites have good satellite others are in the trees. Need to ask if you specifically want satellite service. We found it to be a good place to see some of the area. We would return to the park. We camped at Perry KOA in a Fifth Wheel. Just stayed overnight. Came in late with info in an envelope, however they for got to give the pass code for internet access. We camped at Perry KOA in a Motorhome. This was an overnight stop for us but we would definitely stay here again. New owners are energizing this campground. 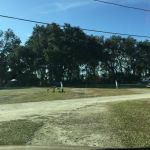 Gravel site was level, pull-thru, full hook-ups, combination of paved and gravel roads, easy to navigate with our 32 ft Class C. After several hours on the road, we spent the afternoon in the clean solar heated pool. Very enjoyable. No fire ring -might be a local ordinance prohibiting? We camped at Perry KOA in a Motorhome. Recommend Cucinella's Pizza in Perry, about 3 miles away. Very good! We stayed overnight on the way from Florida to Louisiana. It was an older park with trees. The site was grass and gravel. The picnic table was missing from our site. And the sewer connection had someone else's broken piece stuck in so we couldn't use it without some intervention. Since it was only overnight, we didn't bother asking with either. The driveway entrance is over a relatively steep slant and going in, and coming out, of the campground our hitch dragged on the ground. Other people having this problem was evident from the gouges in the cement but there was no way to avoid it. I would probably avoid this CG in the future. We camped at Perry KOA in a Motorhome. Older park that, although clean, needs some TLC. Our pull thru site was grass/sand, fairly level and plenty long. Limited cable, free wi-fi, dog park, small pool area. Long term residents are in section in back of park. Is ok for a quick overnight. We camped at Perry KOA in a Fifth Wheel. 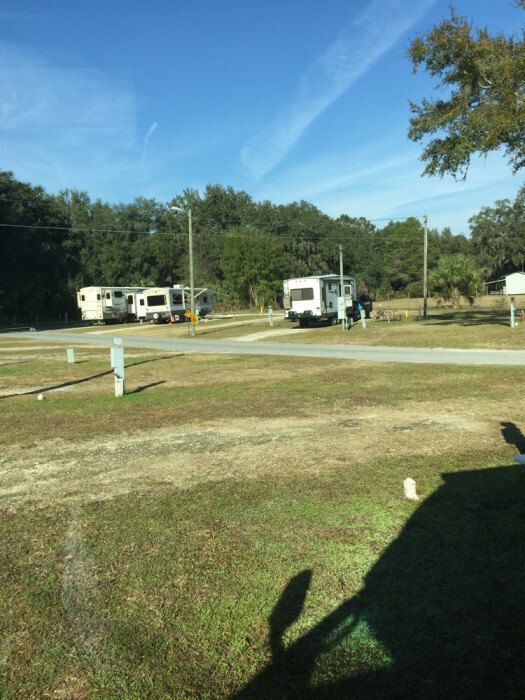 We stayed at the Perry KOA for the first time on Sept. 29, 2017 for just one night. The office staff was pleasant and check in was easy and quick. The park was not crowded at all and we had choice of many sites. Hurricane Irma has passed through this area a few weeks earlier and there was some debris and a couple of large tree with branches down in the park. The restrooms were clean, air conditioned and well maintained. The negatives were there was no privacy between sites, our site was just a grassy area with a dirty picnic table. There were quite a few older, almost abandoned looking MHs throughout the park. 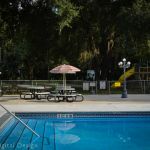 There is a pool that looked okay and a small putt putt golf area that needed a lot of attention. The worse thing about staying in Perry is their Paper Mill that omits a terrible odor all the time. It was so bad that at times I had trouble breathing. 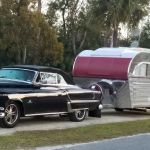 We camped at Perry KOA in a Travel Trailer. This campground really needs some TLC. But these folks worked very hard to accommodate evacuees both leaving and returning during the Hurricane Irma crisis. Our site was level and long enough that we did not have to unhook, which we so appreciated. We had full hook-up with cable in a somewhat shady spot. The pool, hot tub & pool deck need some serious (& likely expensive) upgrading. The playground could be improved with pressure washing. It just felt very tired. We would use it again for overnight. 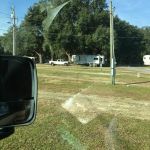 We camped at Perry KOA in a Travel Trailer. Evacuating for Hurricane Irma along with the rest of Florida. Made reservations for 3 nights but decided to leave after the first night to move further West along with most of the other coaches and left by 9 am the next day. We only got a refund for one of the two remaining nights.... Spoke with two clerks, a manager, and was kicked up to the owner whom I never did speak with trying to straighten out the mess. Please don't charge me for what you don't provide and then give me the runaround when I try and resolve the problem. 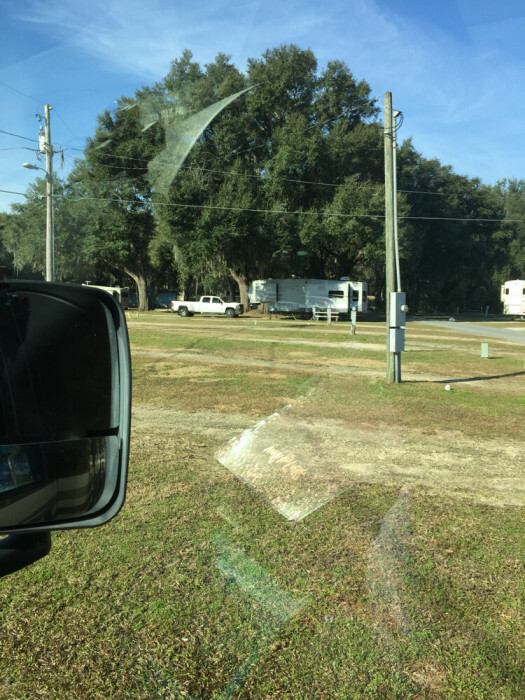 This KOA is right off of US 19 and the pull thru spots are right at the entrance. Lots of coaches just passing thru. 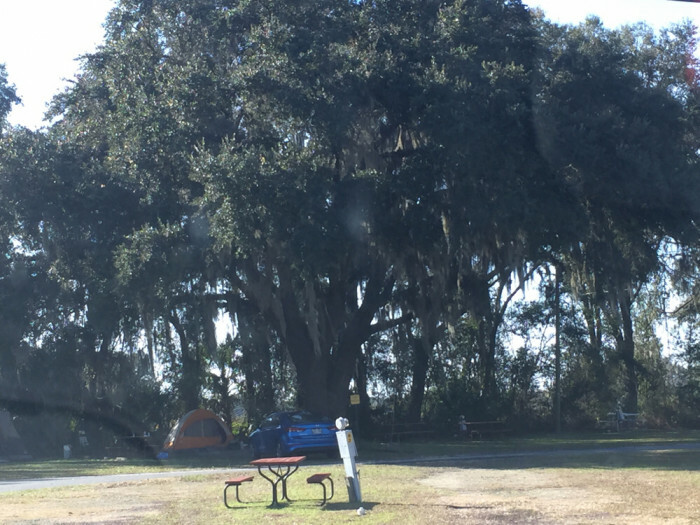 Perry is at a crossroads in Florida and this makes the campground convenient. We camped at Perry KOA in a Motorhome. Deals Famous Oyster House was delicious! We had shrimp fried and grilled and they were outstanding. The dozen oysters on the 1/2 shell we started with were ok but pricey at $15 per dozen. I would not get them next time. Entertaining sitting at the oyster bar and chatting with Devon our "bar tender" who shucked our oysters. "The finest people in the World walk through our doors". Older park, but clean and very, very helpful staff!! Long level pull-thrus. Good power, cable, and wi-fi. Have stopped here for overnights for years. Many recent improvements. Best park in area. We camped at Perry KOA in a Motorhome. 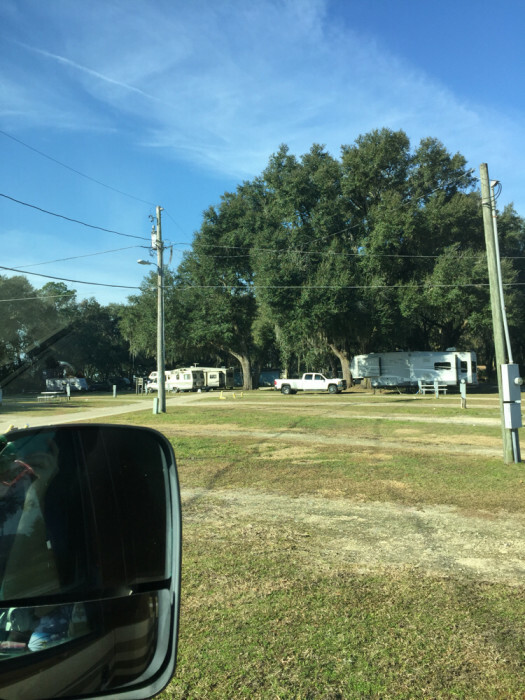 There seems to be many extended stay RVs there in the back section. We were up front in a pull through site. It was level and clean. They aren't very wide though. They have a very nice dog run there. Our pups enjoyed that. The park is set in a grove of very large live oaks. It is quite pleasant. The staff is very friendly and helpful. This park is about the only thing in town. There was another one but it looked real bad. 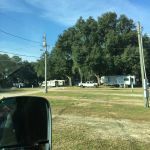 We camped at Perry KOA in a Travel Trailer. Easy to find park. 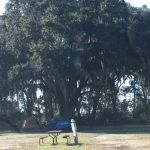 There are treed sites in toward the back of the campground. 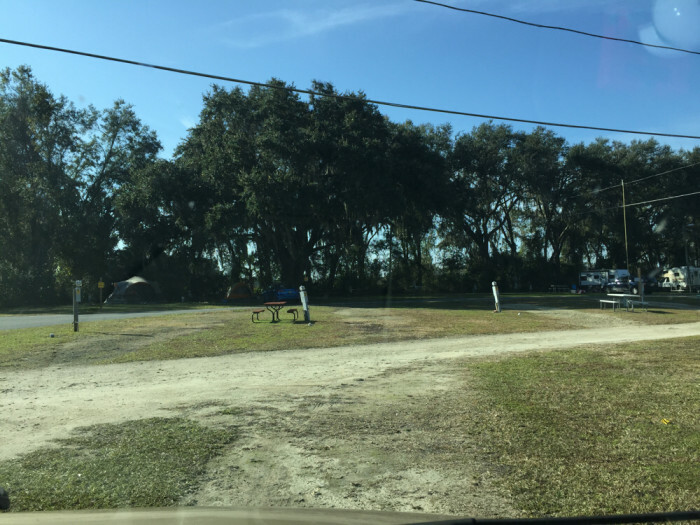 Open and sat friendly sites to the front of the campground. Verizon signal good. Wifi spotty. Small camp store. We were there during a hard rain storm and found that the sites to the right behind the office will flood a few inches, enough to make it harder to pick up and go in the morning. The dog park was picked up and clean and not a bad size. Staff was friendly and did help us to our site. The site was long enough for our 36' motor home and toad without unhooking. FHU in good position for rig. Watch the tree limbs if you go to the rear of the camp. Cable seemed very good at our site plenty of stations. There are a couple of gas stations on the turn off to the camp good for gassers. Although average, still not a bad stop for an overnight. We camped at Perry KOA in a Motorhome. Only stayed one night passing through. Easy in and out. Would stay again if just passing through. We camped at Perry KOA in a Motorhome. A rustic campground in need of some TLC. Front section is mostly shaded with sites close together. These sites are gravel and grass with grass patios. Back section is sunny with wide spacing between sites. These sites are grass with concrete patios. Single lane access roads are a mix of asphalt, broken pavement, gravel, and sand. Sites seem mostly level. Big rigs coming from the south have a 135 degree left turn into a driveway curving to the right with minimal room to swing wide. It may be better to go past the campground to another gap in the divider and do a U-turn to approach from the north. Power ok, did not use other utilities. Good signal strength on campground wifi with reasonable speed. TMobile 3-4 bars with good speed. Some of the front sites might be problematic for satellite. Most of the back sites would not have an issue. We might stay here again. We camped at Perry KOA in a Motorhome. We stayed twice going south and going back north. Pull throughs have a lot of obstructions. A little challenging. Many trees. Really enjoyed both stays. 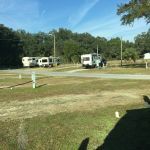 We camped at Perry KOA in a Motorhome. Very old tourist area. Adiquite fast food restaurants and fuel opportunities. 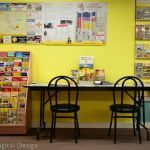 Good restaurants and services nearby. Are you affiliated with Perry KOA ?